Taekwondo is a Korean martial art and the national sport of South Korea. It is the world’s most popular martial art in terms of number of practitioners. Gyeorugi, or sparring, is an official Olympic sporting event. It combines combat techniques, self-defense, sport, exercise, meditation and philosophy. Taekwondo is also used by the South Korean military as part of its training. In ancient Korea, young men were trained in unarmed combat techniques to develop strength, speed, and survival skills. The most popular of these techniques was Subak, with Taekkyeon being the most popular of the segments of Subak. Currently, Taekwondo is practiced in 188 countries with over 70 million practitioners and 4 million individuals with black belts throughout the world. It is now one of only two Asian martial arts that are included in the Olympic Games; it became a demonstration event starting with the 1988 games in Seoul, and became an official medal event starting with the 2000 games in Sydney. 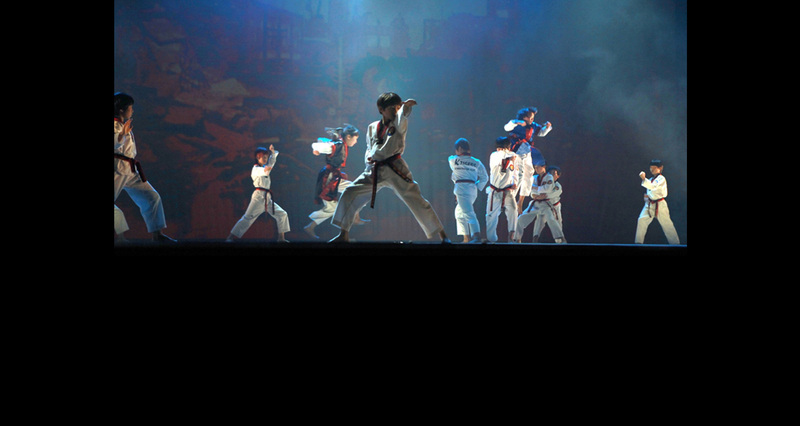 Taekwondo is known for its emphasis on kicking techniques, which distinguishes it from martial arts such as karate or southern styles of kung fu. The rationale is that the leg is longest and strongest weapon a martial artist has, and kicks thus have the greatest potential to execute powerful strikes without successful retaliation. One defining kick is the back kick or the side kick. Taekwondo as a sport and exercise is popular with people of both genders and of many ages. Physically, Taekwondo develops strength, speed, balance, flexibility, and stamina. An example of the union of mental and physical discipline is the breaking of boards, which requires both physical mastery of the technique and the concentration to focus one’s strength. Some taekwondo instructors also incorporate the use of pressure points, known as jiapsul, as well as grabbing self-defense techniques borrowed from other martial arts, such as Hapkido and Judo. 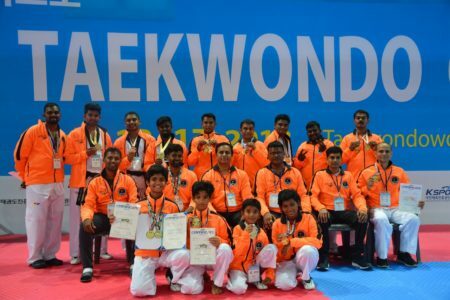 Two of the most popular systems of taekwondo are named solely after their respective organizations, the International Tae Kwon Do Federation (ITF) and the WTF (Kukkiwon). The ITF was founded in 1966. Taekwondo Federation is located at the Taekwondo Palace in Pyongyang, North Korea and was founded in the mid-1990s. The Korea Taekwondo Association Central Dojang was opened in South Korea in 1972. A few months later, the name was changed to the Kukkiwon. The senior section is typically made up of nine ranks. These ranks are called dan, also referred to as “black belts” or “degrees” (as in “third dan” or “third-degree black belt”). Black belts begin at first degree and advance to second, third, and so on. Taekwondo competition typically involves sparring, breaking, patterns, and self-defense (hosinsul). However, in Olympic taekwondo competition, only sparring is contested.